Kristina Bazan Stuns In Bejeweled Gown at Chopard’s Wild Party in Cannes | 2016 Cannes Film Festival, Charli XCX, Jason Derulo, Kristina Bazan, Mischa Barton | Just Jared Jr.
Kristina Bazan wears a bold look for the Chopard Wild Party held at Port Canto on Monday night (May 16) in Cannes, France. The 22-year-old fashion blogger and singer, wearing a Nicolas Jebran Haute Couture dress ornamented with emerald green and burgundy crystals, was joined by Mischa Barton at the event. Earlier, Mischa was spotted at The Harmonist Cocktail Party with Charli XCX and Jason Derulo at Plage du Grand Hyatt. The next night, Mischa stepped out for the premiere of Loving during the 2016 Cannes Film Festival at the Palais des Festivals before attending the De Grisogono Party at Hotel du Cap-Eden-Roc. Charli XCX & Troye Sivan Debut '1999' Music Video - Watch Here! 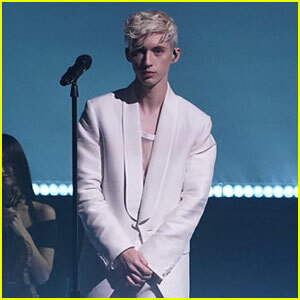 Troye Sivan & Charli XCX Team Up for '1999' - Listen Now! 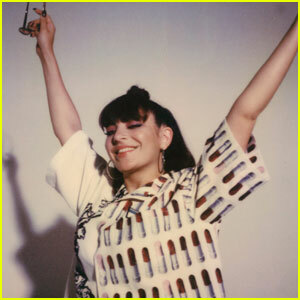 Charli XCX is Here With Your New 'Girls Night Out' Theme - Listen! Charli XCX Drops Two New Songs - Listen to 'Focus & 'No Angel'! 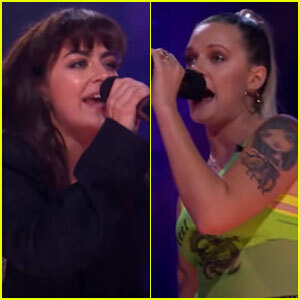 Charli XCX Hurls Insults at Friend Tove Lo for 'Drop the Mic' - Watch Now! Charli XCX Dishes Advice to Her Younger Self! Taylor Swift Had Two Special Guests Join Her on Opening Night!